Volcano Voyage introduces students to the explosive Earth: an overview of what makes volcanoes work, why and when they erupt explosively, and how volcanologists use volcanic rocks to understand the subsurface magma factories that ultimately cause volcanoes to erupt. 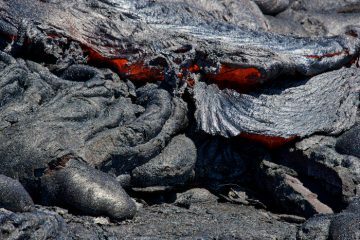 Students will learn how magma viscosity affects eruption style, how eruption style dictates the shape of the volcanic edifice, as well as the different types of volcanic hazards. From lava flows that blanket a landscape to ash clouds that disrupt aircraft travel, we will emphasize the short and long term effects of volcanoes on society. This workshop lasts approximately one hour. Earth Science 11: Earth materials are changed as they cycle through the geosphere and are used as resources, with economic and environmental implications, plate tectonic theory explains the consequences of tectonic plate interactions.